Featuring a 520m Full Racing indoor circuit West Coast karting is tucked away in Maryport, Cumbria. 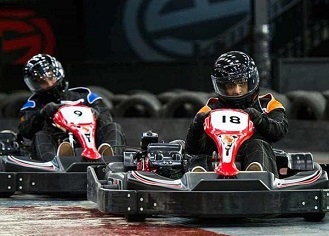 It has a good fleet of 40 mph Adult Karts as well as 25 mph junior Karts. Suits, Helmets and Gloves are provided free and First Time Drivers Always Welcome as full training is provided. The events run include practice sessions, organised race meetings, open meetings, kids birthday parties, Stag/Hen parties, corporate events, endurance racing, super grand prix, client entertainment and staff incentive days.